On Monday, April 23, PBS NewsHour anchor and broadcast journalist Judy Woodruff sat down with Home Ground host Brian Kahn for a wide-ranging discussion on politics and journalism in Petro Theater on the campus of Montana State University Billings. Ms. Woodruff was the Billings Public Library Foundation's featured guest at the 2018 Royal Johnson Forum. 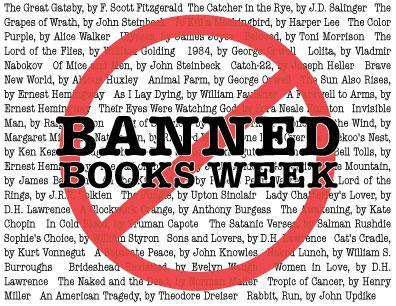 This is National Banned Books Week. The annual event shines a spotlight on materials that have been moved from library shelves. Library officials say this week gives them an opportunity call attention to the value of free and open access to information. That begs a question: What happens if someone has a problem with a book?